Gramixo, Blown film extrusion, Solutions | Contrex S.r.l. 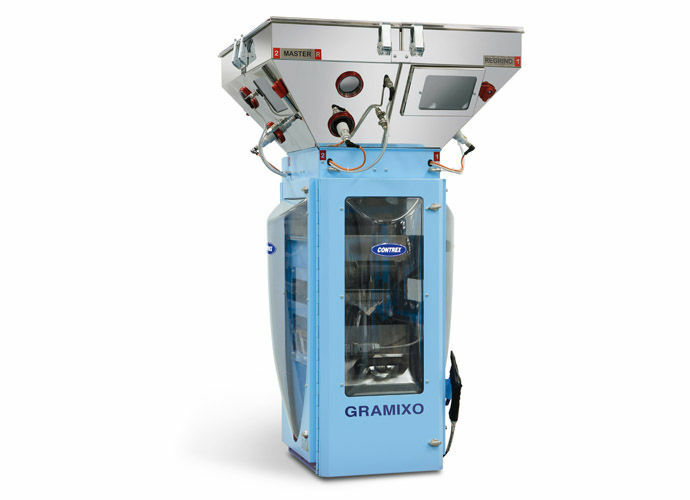 GRAMIXO is a gravimetric batch blender with an integrated loss in weight extrusion control, which can be used to manage up to eight components. It features a removable inclined mixer and easy access openable transparent body panels. The dosing management system is integrated with the extruder screw, haul-off, and continous thickness control. When used for bubble film applications the cooling ring can also be managed by GRAMIXO to further enhance performance and stability. GRAMIXO has been specifically designed for extrusion applications where gram per meter control is paramount.